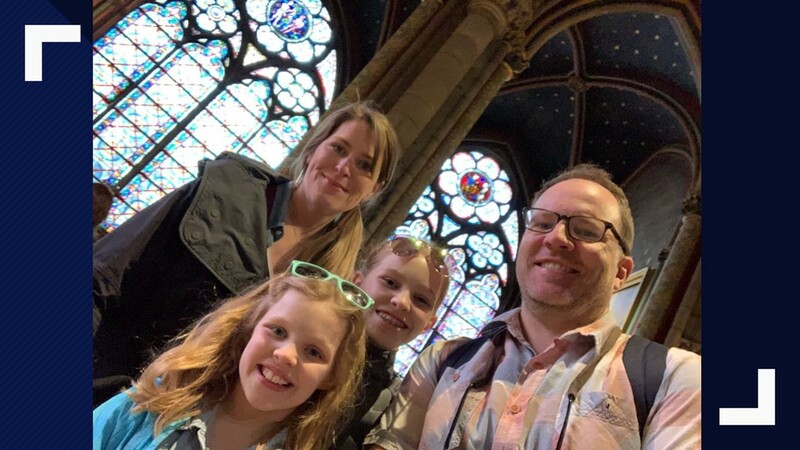 KING 5 reporter Drew Mikkelsen and his family recently visited Notre Dame for spring break. He shared his thoughts about the fire that destroyed part of the cathedral. OLYMPIA, Wash. — We were just there! 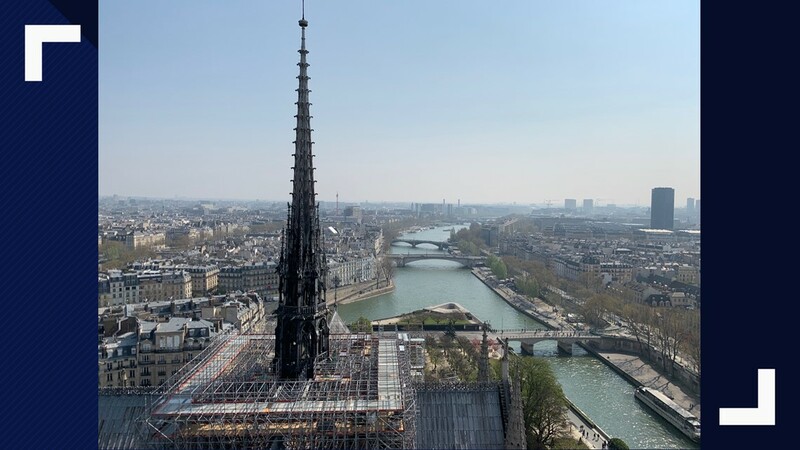 It was already a highlight of the trip, but Monday’s fire at Notre Dame may have retroactively made our visit to the cathedral earlier this month the stop we’ll never forget. It may be the one that won’t ever be the same. Paris was our second stop on our whirlwind, 10-day tour across Europe. My wife and I took our girls, 9 and 12, out of school a couple of days early to make the most of the adventure. On the left is a picture from the Mikkelsen family vacation. 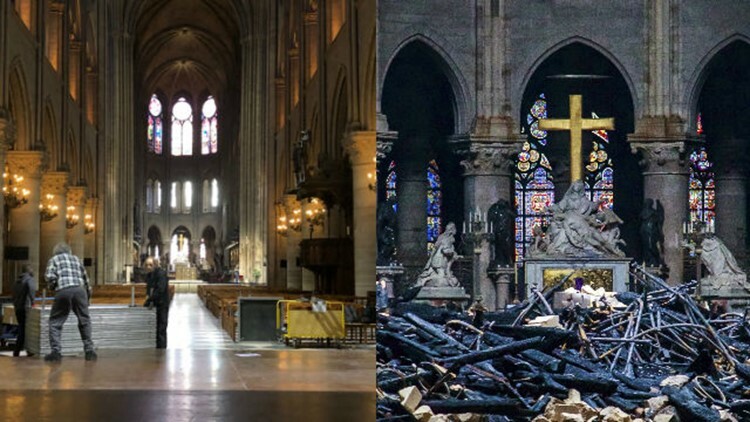 On the right is a photo from inside Notre Dame after the fire. Along with my in-laws, we started in Munich, not far from Dachau, the Nazi concentration camp liberated by my wife’s grandfather. We took the train to Paris, and after five exhausting days in Paris, fueled by espresso and croissants, we hit Amsterdam for two days. The bike tour of windmills and Anne Frank’s house were both amazing! But Paris was what the girls were looking forward to, and all they have talked about since returning. 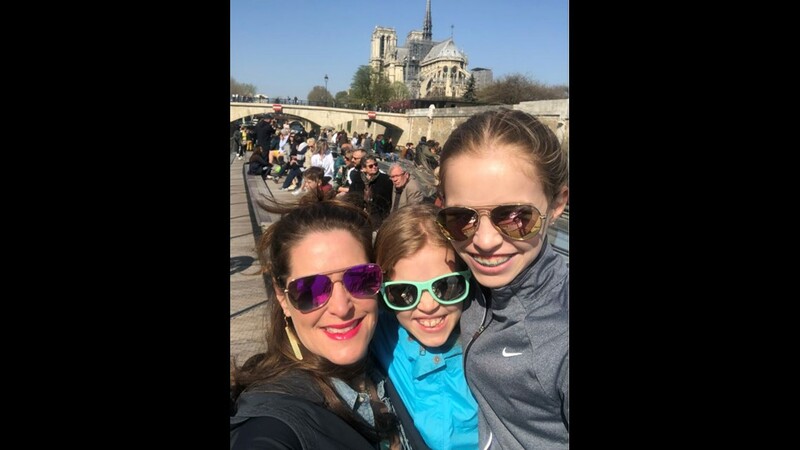 The Eiffel Tower was our obvious first stop, but day two centered around a visit to Notre Dame. 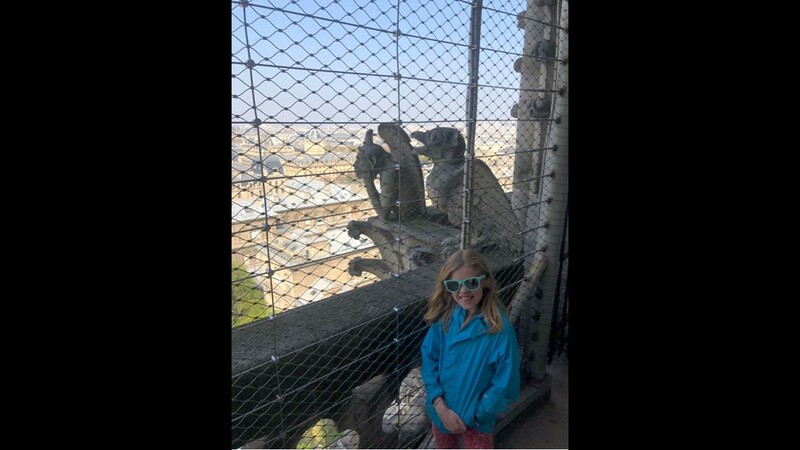 There was so much to take in: the stained glass on a sunny morning, the gargoyles, the however-many-hundred-steps (the girls counted!) to the top. It was so much fun. We took some of the best pictures of the trip after the climb. I think the view from the towers are better than Eiffel’s. When I got home from work Monday night we talked about the fire. We watched news stories about the destruction and we noted what wasn’t there anymore: the roof and that spire. 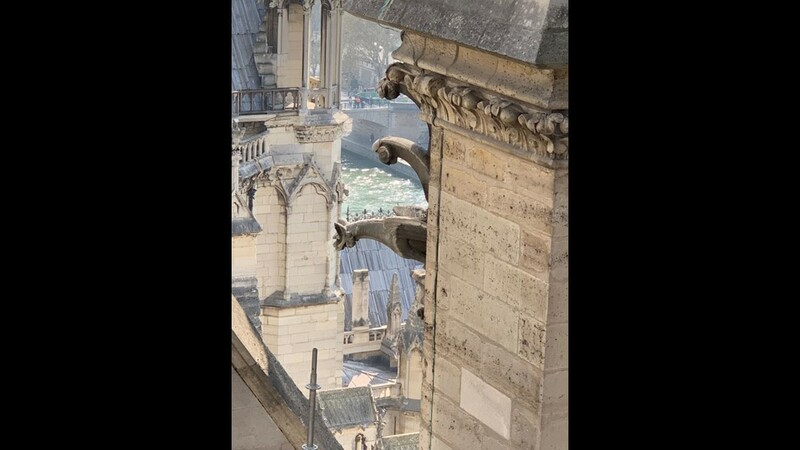 But we focused on what had survived: the gargoyles and the towers. We could see how firefighters were standing where we had just been to help save what they could. 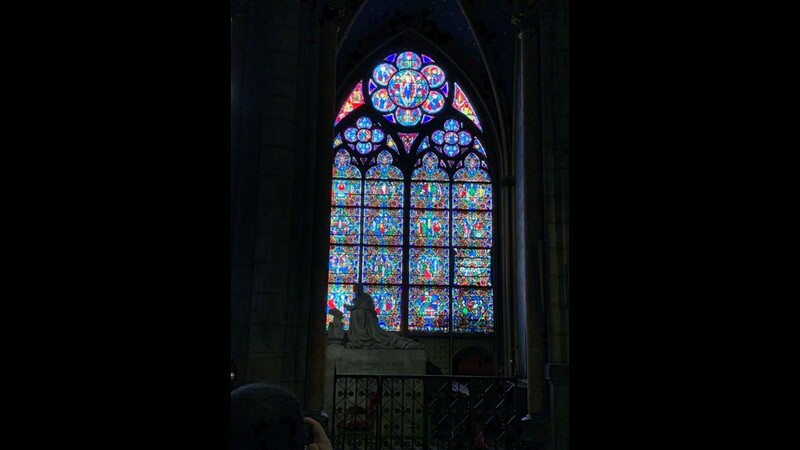 I’m thrilled we were able to take our girls, not only to Europe, but to Notre Dame. Who knows when visitors will be able to climb those however many steps to the top? I’d like to think the girls will look back on that trip and remember how important it is to appreciate history and the "now," and how what’s there today, may not be there tomorrow. And to take a bunch of pictures like their Shutterfly father.